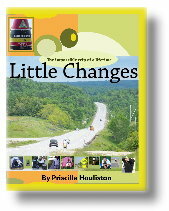 Little Changes incredible journey could not have happened without the help and support of our sponsors. They have provided us with shelter, food, activities and we encourage you to use these sponsors, supporting them the way they have been so supportive of LittleChanges. If you would like to become a sponsor of LittleChanges, please email us. Sponsors Our journey could not have happened without a lotta help from our friends! Jonathan Dickinson State Park River Tours : Cabins & more! We saw many things with the help of the Charleston Area Convention & Visitors Bureau. Caesars Atlantic City : We are forever grateful to Chris with Caesars for arranging a room for us in the lovely Caesars. Chris also arranged for us to see a show, "Dancing Queen" fun & fantastic! Tasti D Lite : Frozen desserts that are good for you! Craig's Bicycles Craig GAVE us two matching bicycles, vintage 1980's, lovely machines that ride like a dream. We are BLOWN AWAY by his kindness to us...strangers. 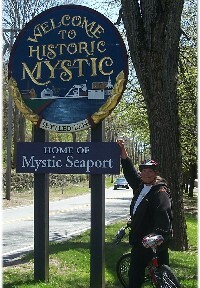 Little Capistrano Bike Shop Eastham, Cape Cod : Melissa treated us to mirrors, water bottle carriers & a spare inner tube! It was SO kind & fun! We will be back when we are finished. Ship's Knees Inn Orleans We ALMOST stayed here! Sandbars On the beach near Provincetown. Legacy Good Samaritan Hospital in Portland, Oregon. The emergency department there was just BRILLIANT. AMAZING service and perhaps the best doctor on the west coast, Dr. Andy Mones, can be found there. My only regret was not getting a picture of this incredible doctor who arranged for the hospital and his practice, Northwest Acute Care Specialists, PC, to see and treat my leg at no cost. 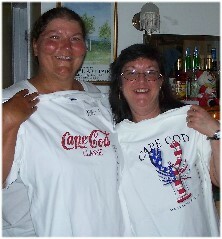 Some of our favorite supporters were the people who opened their homes to us on our adventure! Along the way we met so many incredible friends who took us under their wing, gave us a place to sleep, a shower to use and in Stella's case, even some new t-shirts! My favorite part of the journey isn't the places, it's the people.